The 2nd round of MTI’s idea2fund has been launched this week, with the expectations of an even larger number of entries, covering a diverse range of business domains. 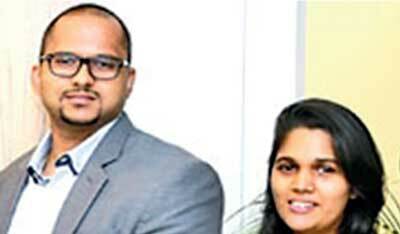 MTI’s idea2fund is a venture challenge platform for prospective Sri Lankan entrepreneurs to present their venture ideas, be challenged and receive constructive feedback, get linked with investors/funders and receive start-up consulting advisory on go-to-market strategy and execution from MTI. Round 1 kicked off on 25 February of this year up until May. It received nearly 250 entry applications, MTI’s panel of judges’ shortlisted 60 ideas which was further evaluated and selected based on three rounds which included concept presentations, commercial presentations and the final round involved the 16 shortlisted entrepreneurs having one-to-one meetings with the investment pledgers/enablers. “MTI is delighted to kick start this venture challenge once again, we are looking forward to recognising innovative business ideas and talent which could create successful opportunities and growth in the Economy. With the access to funding that investors have already pledged plus with the strategic advisory and implementation support from MTI, we fill a gap in the start-up environment which we believe will lead to the birth of a new breed of entrepreneurs and bankable ideas,” said MTI Consulting CEO Hilmy Cader. The entry application to this venture challenge is now open to be downloaded from the following link: www.idea2fund.lk. The deadline for submission will be 15 November.